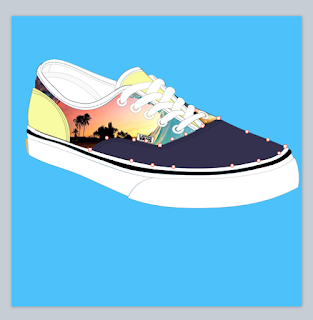 While my elementary kids are too young to enter the annual Vans Custom Culture Contest (where high schoolers can win $75K for their art programs), I have still found ways to spark creativity with their free templates available on the contest site. While the printable templates are fun for some unplugged creativity, I have converted the lace-up model into digital form for Keynote, Google Slides, and PowerPoint. Because Keynote is just so stinking rad, there is a ton more functionality because you can fill shapes with images or mask images with precision as shoe parts. PowerPoint has its own cool abilities like filling with images and adding textures. The slides version will let you click on a part and then customize your colors. Users on all platforms can then do further customization by applying graphics with transparent backgrounds on different parts. The process started by uploading a digital image of a coloring template into Keynote and then I edited shapes (Right click a shape. Select "Make Editable".) to match each part. It's a pretty easy process to master with some practice. Just turn down the opacity so you can see the image you are copying. The forefoot section, as are all parts of this shoe, is really a shape made in Keynote. Once I was able to create each part of the shoe, then the real fun started. I was able to simply color some parts and mask other parts with images. One of my all-time favorite photographers is Clark Little, a Hawaiian surfer who braves the shorebreak of the fabled North Shore to create incredible images. Right up there with my love for Clark's work is my love for Vans themselves. So, I imagined the perfect art vs. fashion collaboration and mocked up my own dream set of Clark Little Vans. I then took one more step and put to use the new export as "animated gif" feature and created an image to show them all off. .Gif created in Keynote with new export feature . 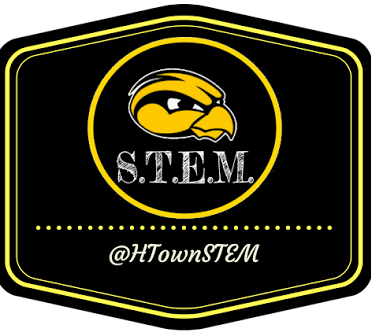 So what kind of cool "custom culture" will you or your students create with the templates? Apple's Pages, Numbers, Keynote, and iMovie have long been considered powerful tools for the classroom but applying all of that potential can be a real challenge. 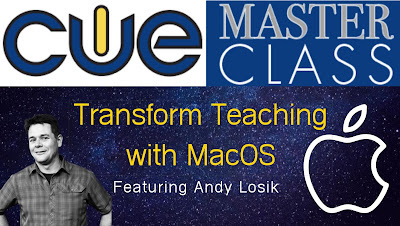 CUE's six week Masterclass "Transform Teaching with MacOS", will not only help you amplify your skills with these apps more but also develop a whole quiver of new ways to amplify your teaching. Engage learners with multimedia rich "SuperDocs" in Pages and have them export their learning as multitouch iBooks. Discover a minimum of 20 ways to use Keynote for everything but presentations. 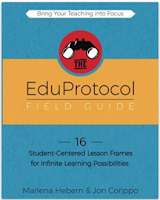 Get organized with Numbers and overhaul student-created videos with professional techniques. Apple Distinguished Educator Andy Losik will host three live Zoom conferences and provide on-demand assistance throughout the class and get you prepped to gain AppleTeacher certification. All of this for just $69. Sign up today as class begins on April 16. The annual Michigan Association of Computer Users in Learning (MACUL - muhCULL) Conference is back and over 5000 educators will gather in Detroit to learn and share the ways they're impacting students by integrating technology. This week has been an amazing recharge to my teaching batteries every year since 2005. Here's my schedule of presentations and links to resources. Learn how Apple Distinguished Educators empower students to create interactive portfolios, movies, and more"with fun animations, personal illustrations, and customizable shapes"using the Keynote app on iPad. More than a presentation tool, Keynote gives students a powerful way to visually think through stories and ideas. The MACUL conference is always a highlight of my teaching year. 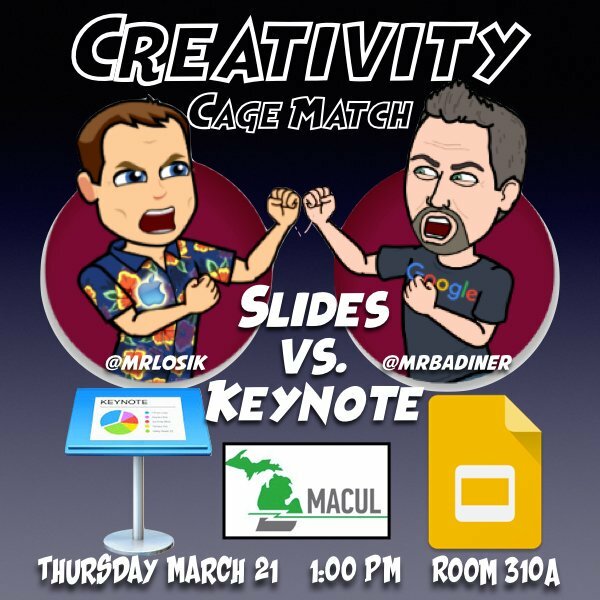 This March's edition is in Detroit and features a great slate of featured speakers, many who have shared at MACUL for numerous years. 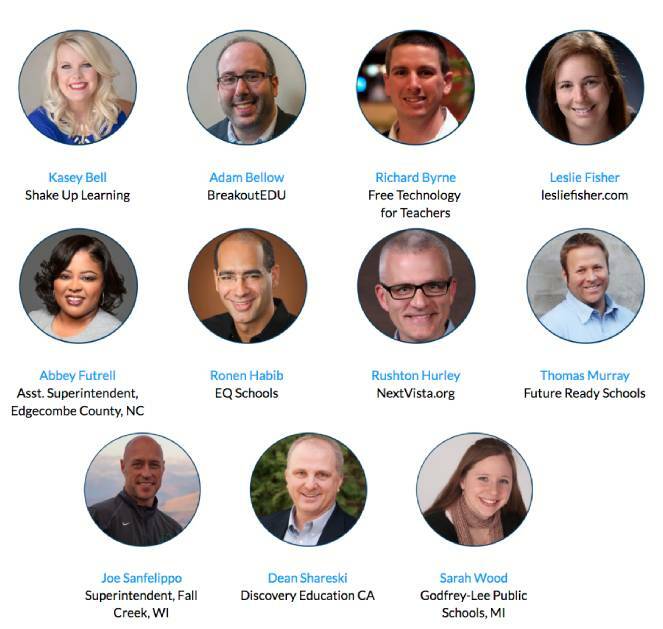 Check out the featured speakers page at MACUL.org for more details and individual bios for the presenters pictured below. Follow them on social media to connect in the coming weeks' run-up to the conference. 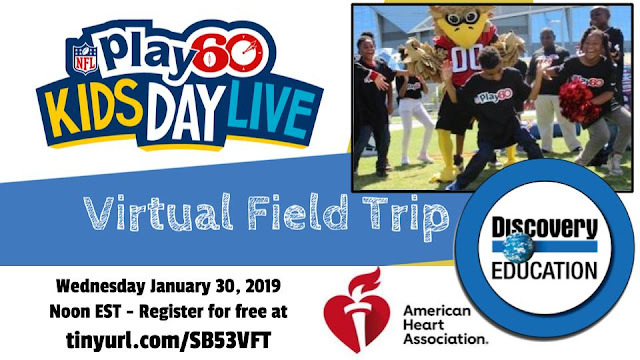 Join the National Football League, American Heart Association, and Discovery Education for an exclusive pass to PLAY 60 Kids Day Live at the 2019 Super Bowl Experience in Atlanta. 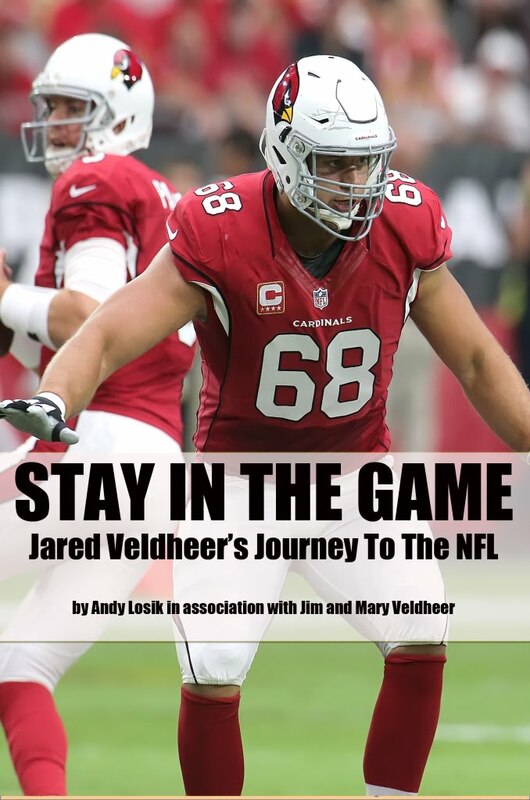 Break down the top 10 plays to PLAY 60 alongside NFL Players, mascots, cheerleaders, and American Heart Association volunteers. This year's live and instantly on demand event takes place on Wednesday January 30 at noon EST and is completely free to all classrooms. Simply sign up at Discovery's special registration link. In addition, educators will find all kinds of additional resources that can be downloaded to get their kids thinking about the benefits of increased physical activity and excited about this live experience. During the Virtual Viewing Party, educators and their students can join a LIVE Twitter chat to get questions answered by @NFLPlay60, @American_Heart, @DiscoveryEd and other featured participants using #GetMovingPLAY60. Discovery's broadcasts from previous Super Bowl sites like two years ago in Houston have been big hits with teachers across the country. I was lucky enough in 2017 to be on set in Houston to see all of the attention to detail and the incredible energy that goes into these productions. 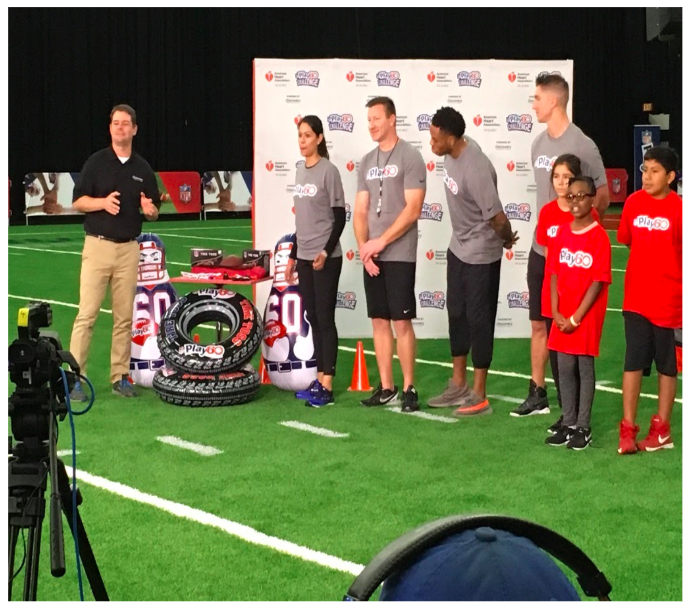 There was great coordination with the NFL's youth outreach department, the American Heart Association, and a Discovery television production crew to pull off the live event. They even asked me to make an appearance alongside the hosts that included then-New York Giant and eventual Dancing with the Stars winner Rashad Jennings. Even if the noon live showtime doesn't fit well into your teaching schedule, the broadcast is instantly archived and can be shown on demand anytime after it has begun airing. Discovery Education subscribers can even access a wide range of past field trips from Polar Bears in the Arctic to the touring of a nuclear energy plant. 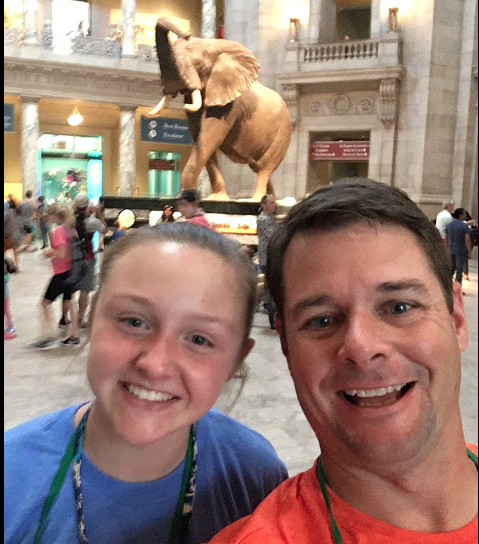 Rita Mortensen from Verona Area High School in Wisconsin has used a variety of Discovery Education's virtual field trips with her students. "The Discovery virtual field trips are a great way to bring real world content into the classroom. These engaging trips allow student to experience and go behind the scenes of so many incredible programs. There is such a wide variety - fascinating!" Although it is still unknown who will be participating in Super Bowl LIII, the excitement is already building. Register today to bring your students as close to the action as they can get without a ticket. For years I have struggled with removing backgrounds in portraits. 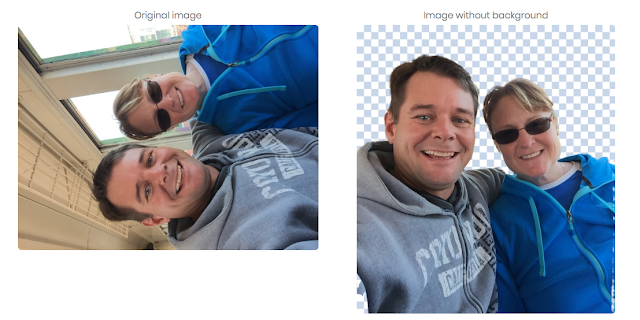 My old standbys have been the Instant Alpha tool in Apple's Keynote and the magic wand selection tool in Pixlr. Both take time with janky workflows and neither produce the perfect final product. Along comes the new website Remove.bg that works in a web browser like Google Chrome but also on mobile devices in the browser and without a standalone app! While arguably not 100% perfect...it's as close as I have seen and way faster than anything I have tried. As the site says it works "100% automatically - in 5 seconds - without a single click". Just select your image by uploading or by entering a URL and watch the magic happen. 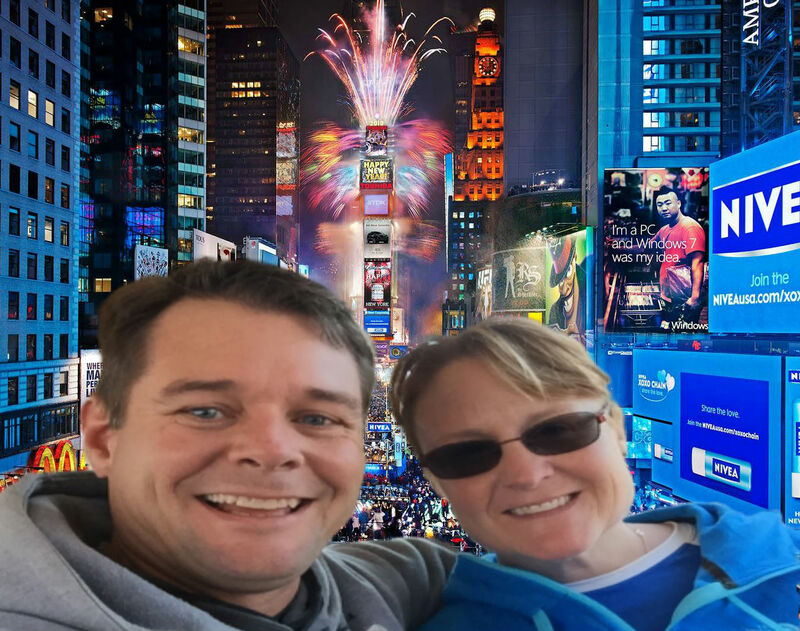 Here is a picture of my wife and me on the train in Northern California and with the background removed by the site. 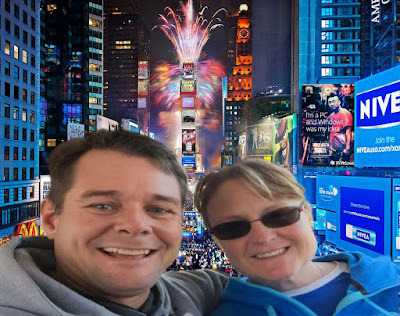 I then used Pixlr and layered that on top of an image of Times Square at midnight on New Years Eve. Being crammed in the cold with a million people, in the immortal words of Old Blue Eyes, is our "idea of nothing to do" but nobody on Instagram needs to know all we did was eat a dozen pizza rolls and go to bed at 10:15. The iPad user experience is almost identical. Images can be imported from your camera roll. Transparent images are then downloaded back to your camera roll and available in your favorite graphic design apps that support layers. 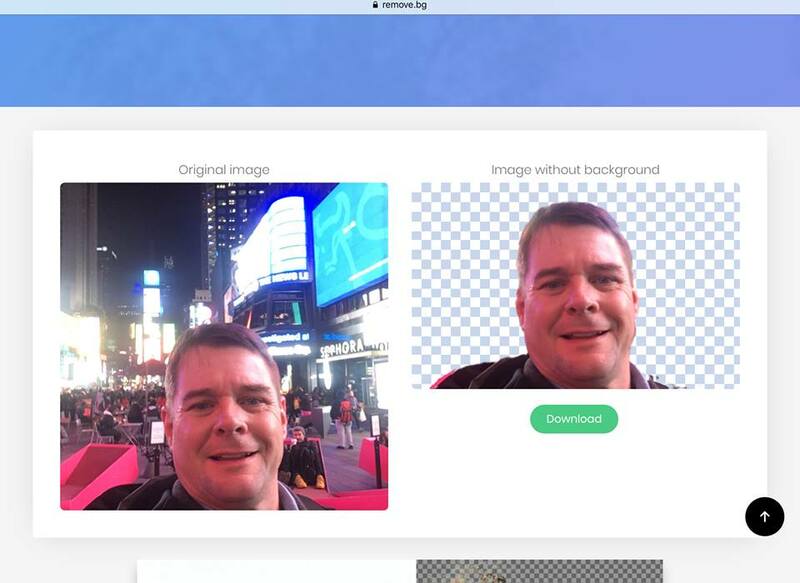 In this example, Remove.bg deleted the very complex background of the real Times Square. Here's this year's edition of Mr. Losik's Christmas List.....and here is the cool feature that WOOD TV did after they visited a couple of weeks ago.